It’s shaping up to be an exciting year already. Unfortunately, it seems like time is flying by but I’m certainly looking forward to spring. This always reminds me of new beginnings and with that being said, the NDA is currently in contact with several state associations that are working hard to bring Denturism to their state. This is where we as Denturists need to get involved. We need to reach across the aisle to our fellow Denturist and see if they need help. As most of us know, regulation and recognition often puts a huge financial hardship to those committed to our profession. I could list several reasons why you should help. First and foremost, for this profession to thrive and grow, it ultimately falls on each and every one of us. Nationwide recognition can only be achieved with a unified front and a commitment from each and every Denturist. Join the association, come to the conference and get involved. Anita C. Ogle, LD, DD. On the 28th of October, a man without equal in the denturist profession has passed away. The integrity and dedication he displayed throughout his career and the standards set in striving for national recognition in the USA have been significant factors in achieving the level of professionalism and the status that denturists enjoy today. Bruce was the last to consider himself worthy of honour; he had an uncompromising respect for his profession and determined that every citizen should have the right to choose the services of the dedicated men and woman who chose this profession as their calling. He also had a firm belief that education is the avenue for this professional recognition. Originally from Norwood, Massachusetts, Bruce attended one of the oldest day-boarding schools in the USA, the Worcester Academy. He also studied at Covenant College at Lookout Mountain in Georgia. In 1970 Bruce was practicing as a certified dental technician and owned a dental laboratory in Florida, when he was introduced to denturism. He became involved with the Florida Denturist Society. This Florida group knew that education was the key, so they enrolled in courses at the Florida Dental School, believing the education would qualify them for recognition as denturists; this excellent education offered them a diploma in expanded duties. They founded the American Academy of Denturitry, a two-year program which required a two-year externship. A lifetime of dedicated lobbying for recognition in various states followed, with numerous confrontations from the monopolized opposition. Bruce was instrumental in organizing the Indian Tribal Denturist Association, an education and certification program. This education was helpful for the initial licensure for the applicants in Washington State and individuals certified through this program continue to serve patients on Native American Tribal lands. Believing education is the answer towards legislated recognition, and to support and encourage others, Bruce attended college to earn a Batchelor’s degree and even though he had passed the state board examinations and already received his denturist licence in Washington State, he also enrolled and received his denturist diploma from George Brown College in Toronto, Canada. He also shared in tuition expenses for denturist students. One would be hard-pressed to imagine Bruce without his equally-dedicated wife Wanda beside him. For many years she has been a strong supporter and helpmate working alongside him in his efforts towards nationwide denturist recognition and regulation. She wrote several articles to promote the profession and published in the New York Times. 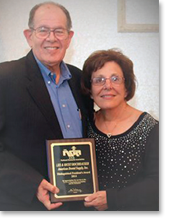 For about seven years Wanda was the Executive Director of the National Denturist Association and Editor of the NDA Magazine. For a long time, during the beginning years of the Magazine, the Andersons bankrolled the expense of publishing, until it became self-sufficient. This publication has established the vehicle to convey the importance of denturists. In his Denture Clinic in Poulsbo, Washington, Bruce has been known to trade a denture for an apple pie for an elderly woman on a fixed income, who desperately needed new dentures, but with an embarrassed tear admitted, there was no money for the high cost of dentures. 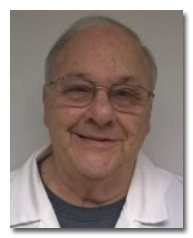 For many years Bruce served patients referred from one of the community churches that give hand-outs to individuals in need and was rewarded when he saw someone, apparently down on his luck, become revived with confidence because of a new healthy smile. Bruce enjoyed sharing the story of the young mother with three children, who had been deserted by their father, but did not want to rely on welfare. She had neglected her own needs, providing for her children and by the time she visited Bruce’s denture clinic she was edentulous. She made no eye contact and kept her head lowered, looking at the floor with her hand in front of her mouth. Finances was a major issue, but she wanted to pay. Bruce charged her a dollar. A new woman emerged the instant he seated her dentures. Her unyielding broad smile brought tears to everyone. She enrolled in College and that woman became a school teacher. Bruce Anderson was a selfless hero, who strove to find the best in others. This humble pioneer will be remembered for being a gallant servant, always reaching out to the destitute, with compassion and sympathy for people’s needs to restore the dignity of the edentulous, with care and respect. During the 8th World Symposium on Denturism during 2013 in Montreal, Quebec, Bruce Anderson was presented the Sterkenburger Award by the International Federation of Denturists, in recognition for his unyielding commitment to the denturist profession. Bruce turned 76 earlier this year. He was retired after selling his clinic and spending quality time with the families of their 3 sons. On Sunday morning he departed to spend eternity with his Maker. Bruce leaves his wife Wanda, Chris and Gina, Glen and Shelly, Eric and Sarah and 8 grandchildren. He also leaves a legacy of compassion, denturists who change lives – one smile at a time! Those who were fortunate enough to have known him, have been enriched by friendship, by his example and his integrity. The IFD and denturists worldwide will miss you immensely Bruce, but your legacy will endure. It was my pleasure to interview Lillian Petersen for this column. Lillian is one of the pioneers of the denturist profession in Oregon and one of a very few women to choose this profession. She started out working as a receptionist for a dentist, Dr. Weber. When Dr. Weber’s lab technician left, Dr. Weber taught her how to do repairs and she started to do needed repairs at the front desk between answering calls and scheduling appointments. She found working in the lab business much more fascinating than answering phones and became a lab technician and later became a Certified Dental Technician (CDT). She soon opened her own lab and began working for all the dentists in the Florence area. In 1980, she sold her lab to Dave Smith, whose son, Grant, is now a denturist in the Eugene area. The State of Oregon legalized Denturism in 1979 and Lillian was one of the first thirty people to apply for and receive a license. The State then split the applicants in half and tested those fifteen. They then selected about 7 of those to become proctors for the next group of applicants. Lillian opened her denturist practice in 1980 in Florence and practiced there until 1990 when she sold it to Shawn Murray, who had just graduated from the Oregon Denturist College. She then went to work for Dr. Simpson, a dentist in Waldport, OR and stayed with him for ten years. She then opened a practice in the “old hospital” building in Florence. She finished her career working for a Florence denturist, William Foster. During her career, she served as President of the National Denturist Association (NDA) as well as Secretary of the Oregon State Denturist Association (OSDA). Lillian was a faithful attendee at most conferences the OSDA and the National Denturist Association held. Retirement has seen her continue as a real estate entrepreneur with an interest in rentals. It also allows her to spend more time with her daughter who is a nurse at the local Florence hospital. Congratulations to Lillian Petersen on a long career and a well-deserved retirement. The profession has been blessed with devoted Trailblazers who led with conviction, dedicated to their calling to convince governments that denturists be legally recognized, to practice professionally without supervision, so that patients can exercise their freedom of choice. The integrity displayed and the standards they set, have been significant factors in achieving the level of professionalism and status that we as denturists enjoy today. The IFD acknowledge our history and pioneers and we selected Austin Carbone to start off a Gallery of Giants! Austin Carbone B.Sc. B.Ed. DD LD has the distinction of being the only denturist to hold the position of President of two national associations (DAC and NDA) as well as President of the IFD. He is the only denturist endorsed with honorary status by the DAC. Austin was ordained with honourable membership of the ‘Brotherhood of Sterkenburgers” and he received the Pieter Brouwer Award of Merit (the highest IFD accolade, reserved for individuals who have demonstrated extraordinary and exemplary service to the profession internationally). Previous illustrious recipients were Pieter Brouwer himself (Netherlands), Michael Vakalis (Canada) and Chris Allen (UK) and more recently Paul Levasseur (USA), Eric Engelbrecht (Netherlands), Tony Sarrapuchiello (Canada) and Gerry Hanson (Canada). Austin originates from Greenport, New York and like many denturists, began his career as a dental laboratory technician. He achieved the Diploma in Denturism from George Brown College in Toronto, after he already completed university degrees from Fitchburg State University and Newfoundland Memorial University. Austin joined the Newfoundland Denturist Association and proceeded to become seriously involved in the denturist movement during the 23 years he lived in that province. He served as Association Secretary, Education Coordinator and Newfoundland’s delegate to the Denturist Association of Canada (DAC). After the Newfoundland and Labrador Denturist Act was proclaimed in 1984, Austin was appointed as Registrar of the Regulatory Board. During the mid-1980s, Austin Carbone took a more active role and interest in the national scene of denturism and was elected to positions on the Executive of the DAC. In succession to Ben Sweet, William Buxton (Sr), John Browne (Sr), Grant Barrick and Brain Monk, Austin Carbone was elected the 6th President of the DAC in 1990, a position he held for three, two-year consecutive terms until 1996. During this time the Canadian Accreditation Committee was formed. Austin teamed up with Mike Vakalis and Bill Buxton (Sr), promoted and participated in the development of the International Denturist Education Centre (IDEC) formed in 1992 at George Brown College in Toronto. This program was instrumental in establishing denturism education and legislation in various provinces and states. Austin Carbone and Tony Sarrapuchiello met with the Minister of Health in Ottawa and negotiated a seat for the DAC on the Board for Non-Insured Health Benefits, which is for indigenous people of Canada, as well as several other programs. Austin also represented Canada at the IFD and served as President of the Federation. He encouraged the acceptance of the Baseline Competency Profile by the IFD. This document was based on the Baseline Competencies Profile for Canadian Denturist Education, developed by the Canadian Council of Denturist Educators during the late 1980s, and the George Brown College IDEC UK Denturist program. These two documents were merged by Chris Allen, then executive officer of the UK CDTA Association and an IFD Board member, to develop the Baseline Competencies for UK CDTs, for the promulgation of the UK legislation in 2006. This document was implemented by the IFD as the “Baseline Competency Profile and Examination Criteria for the Education and Training of Denturists”. Austin also brought to the IFD a workable membership fee formula, and the trademark right for use of the designation ‘DD’ for denturists. He personified that Canada and the IFD was willing to have a solid relationship with the rest of the denturist world, a position which had not been fully realized up to then. Amongst many unique triumphs, despite not being an EU citizen, but on the merits of his international stature and expertise on professional OH matters, he addressed the European Union Professions Committee in Brussels, Belgium. During 1997 Carbone and his wife Shirley decided to return to the USA and settled in Gray, Maine, to become the first licenced denturist in that state. 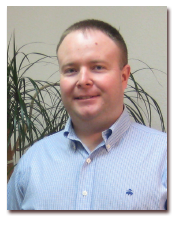 Austin served on the Maine Dental Practitioners Board for 10 years and chaired the Denturist subcommittee. Very soon Austin became involved with the National Denturist Association (NDA), using his experience to the benefit of US denturists and soon found himself serving as national President. 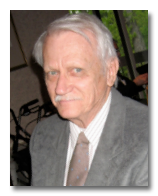 He held teaching positions at the Nova Scotia School of Denturism and at the IDEC, but also applied his tutoring skills at the New England School of Dental Technology in Maine. Austin regularly attends continuous professional development (CPD) courses and Symposiums to keep his education current. After attending the recent 10th World Symposium, Carbone reflected that the IFD is doing well, with far more member nations now than 20 years ago. “I am pleased to see the IFD is keeping an eye on its Baseline Competency profile as a standard for the education of denturists worldwide. IFD should always be the place where denturism hangs its hat.” Austin said. ‘In the old days I could make a denture for a patient on a handshake, but that is no longer possible. We are now part of the dental health professions and held to comparable standards. I support this wholeheartedly” he said. Austin feels that despite normalised scopes of practice and the addition of modern implant and CAD\CAM technology, most of the principles of denture provision have fundamentally remained the same, including oral examinations, impression-taking, and the widely used procedures to process dentures. Austin continues to be a mentor and much appreciated friend to countless colleagues locally, nationally and globally. His humour and assistance remains steadfast as a rock. Thank you Austin, Shirley and family for your expertise, determination and support to shape and build strong foundations for us to follow! SALUTE! After graduating college and picking up the torch from his father, Glen continued the “pursuit for independence” in Kentucky. Glen, who has a Bachelor’s Degree in Health Science from Williamsburg College and a graduate of George Brown College receiving his diploma in denturitry is a licensed denturists in Maine, but Kentucky legislators have yet to recognize his profession giving him the freedom to serve unencumbered. Glen’s talent with his willingness to serve is needed in the area of Kentucky where he chooses to have a denture clinic. He is serving patients in the 5th Congressional District in the Eastern part of Kentucky. This area which includes part of Appalachia has ranked the last among all 436 congressional districts in the health index of the American Human Development studies and investigation in this area has revealed the largest number of individuals needing dental care. 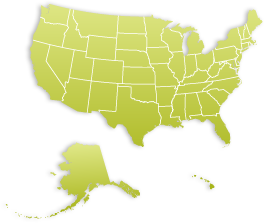 (website of KFTC & MACED) Unfortunately, drug use is prevalent in these counties contributing to the dental crisis and so many people missing some if not all of their natural teeth. Recent studies have indicated over 65% of the population in this district have some or all of their teeth missing. (NYT – In Kentucky’s Teeth, Toll of Poverty & Neglect) The dental needs in this area are at a critical level and are not being met by the dental community. Kentucky has been listed by the Department of Health and Human Services as a Dental Health Professional Shortage Area, meaning residents often cannot find or afford a dentist. According to a report in the New York Times, Kentucky is among the worst states nationally in the proportion of low-income residents served by free or subsidized dental clinics, and less than a fourth of the state’s dentists regularly take Medicaid, Denturists, with a much lower overhead than what may be in a traditional dental office, are more apt to serve Medicaid, or low income patients. The reports continue: A report in The Courier Journal (Deborah Vetter; 2/25/2016) Kentucky has a high rate of adults over 65 who have had all their natural teeth extracted. About 25% of such adults have no teeth, making Kentucky the fifth worst in the nation. Many people have trouble getting access to a dentist. This report said four counties have no dentists, 13 have only one dentists and 12 have only two dentists. The need is dire. Glen accepts referrals from a community benevolent organization, Come-UNITY-Cooperative Care (CCC), endeavoring to help these individuals and is rewarded by “thank you” notes from patients who have been able to secure jobs and “turn their life around” after having their confidence and smile return. Glen is also a provider for Isaiah House, a state-licensed Alcohol and Other Drug Entity (AODE) and a state-licensed Behavioral Health Service Organization (BHSO) treatment center for young men. In 2015, Isaiah House became one of the few treatment centers in the state of Kentucky to achieve national accreditation by Joint Commission and are recognized for providing a gold standard of quality care to their clients. Glen says helping these young men who have lost their natural teeth due to the consequences of drug use is most rewarding. Glen is one who actually does what he professes. He has been an active member of the National Denturist Association, USA (NDA, USA) serving on the Board of Directors for several years. He continues to serve the board as a Regional Chairperson being the liaison between denturists and denturists students in the southeastern states and the NDA, USA Board of Directors. Glen stays busy in his clinic and his family is involved. His wife serves as his Office Manager and his three children have all helped as most denturists “kids” have. Whether one of them is ready to “carry on the 4th generation” tradition is yet to be determined. David Mengel graduated top of his class at Golden Key College and Bay City College in Sacramento, CA. Sacramento was home for David; his father, a dental laboratory technician, owned and operated a successful dental laboratory there. David says his involvement in the “dental lab business” was a family affair; he and his brother worked with their father in his laboratory and, even today appreciates the hands-on skills he learned from his father. As a young man, he realized he enjoyed the business. He learned the artful skill involved and required to actually fabricate dental appliances and he was good at it. Perhaps it was happenstance that led him to Reno, NV, where he met Dale Neiswender. David had never heard the word denturist until that meeting with Dale which introduced him, and eventually his family, to a whole new horizon. Dale was head over heels involved in the challenge of winning professional recognition for denturists in Arizona so they could practice independently. David wanted to also be involved and visited the people in Arizona who were spearheading the project. He knew denturists could serve the prosthetic dental needs for patients and provide superior service without the need for a “middleman.” In most cases, the dentist, who had little to no education about dentures would have to outsource the task to a dental laboratory which added to the extra time and expense for the patient. David was intrigued and wanted to get involved. He eventually moved to Arizona and opened his business and his family soon followed. The struggle for independence in Arizona was not easy; it required enormous effort and expense. Since the issue has always been a popular “people” issue they were able to generate a lot of support from Arizona citizens especially the senior population. The small group persevered and secured enough signatures to get the issue placed on the ballot as a referendum; it won by the highest percentage of any issue ever placed on the Arizona ballot. Of course, with regulation came compulsory education, so after completing the required pre-med courses at Phoenix College and sitting for the Arizona State Board Examination, David received his Denturist License. He says if he could offer advice to anyone wanting to pursue a career as a denturist it would be to get the best education possible. He has an interest in promoting education for denturists and believes setting a high standard is the answer for national recognition. He says that someday he would enjoy teaching students at a denturist college. Those who know David also know that his other passion is flying, however, David says, he likes anything that goes fast; he enjoys sailing, motorcycling and piloting his small aircraft. If that were not enough to keep someone busy, he also enjoys flying his remote-controlled helicopter. Ron joined the Navy in 1970 and was pleased with his East Coast assignment and orders to attend dental assistant school. 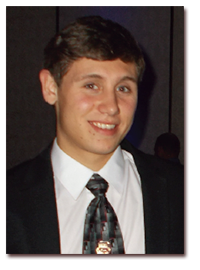 This experience was comprehensive and invaluable to his future career in the dental business. Since there were no dental hygienists in the Navy at that time the dental assistants did everything chairside including exams, x-rays, scaling, restoratives, injections and, yes, impressions. However, he was enticed by the dental laboratory. He noticed they were laid back, wore dungarees and you could hear laughter coming from the dental laboratory “down the hall” and they were making things; they were actually making dental appliances. Ron spent as much time as he could “hanging around the laboratory” and was thankful when he was offered the chance, given orders, to attend dental laboratory school. When Ron graduated from this school, number two in the class, he knew he had found his calling. Ron was assigned to work in a large laboratory in San Diego, CA which delighted him because he could live on his sailboat, row to shore and jump on his motorcycle. He received valuable experience working in this laboratory which included 35 techs with 8 operatories, all dedicated to prosthetics. However, this assignment was interrupted by a serious motorcycle accident which required a few weeks stay in the Navy Hospital Balboa. Bored, he asked if there was a dental laboratory at the hospital and if so could he visit. As it happened there was a maxillofacial department with an almost unused dental laboratory. Within a few days Ron was making gold crowns and processing them in three days instead of the normal three weeks. His skills earned him an eight month assignment which he says was a huge confidence builder for a 20 year old kid. He was painting and processing prosthetic eyes, taking impressions of ears and noses, but it also afforded him the opportunity to use his dental laboratory skills and experience making gold crowns. Ron says he enjoyed his military experience and would be forever grateful for the excellent education he received and even though his decision to leave the military and return to his home in Oregon was emotional it was an easy decision. Jobs were abundant and he chose a laboratory needing an experienced person for “fixed” work (crown and bridge) but as it turned out, he spent most of his time fashioning removables. Being independent minded, Ron soon obtained his first of three CDT credentials and opened his own laboratory. He enjoyed his work, especially working chairside with a prominent oral surgeon who was pioneering implant dentistry; gaining valuable knowledge he would use later in his own practice. His client base grew but keeping up with the dentists’ demands, “How fast can you do it? How cheap can you make it?” took its toll. So after ten years running his own business he decided to join the Kaiser Permanente Dental Laboratory, a large commercial lab. It was at this company that he met Gene Miller, a denturist, and you could say the “rest is history.” He enrolled and was graduated from the Oregon Denturist College. He is also a graduate of Mills Grea College. Ron, concerned the licensing policies were not meeting the standards of a healthcare profession, challenged the state and stricter criteria were implemented. The profession was proving so successful that the program was approved to progress from Advisory Council Status to requiring a governor appointed board of directors and Ron was asked to accept chairmanship of the new board. During his leadership, the Oregon Attorney General approached Ron saying since the progress of the profession had proven all the statutes, rules, legal requirements, etc., to meet licensure requirements, he recommended they apply to move from certified denturist status to licensed denturist status. At this time Ron was called to active duty with the Fleet Marine Force during Desert Shield/Desert Storm, but the Oregon denturists keep the issue alive and when he returned home and working with the Board and committees, licensure was approved. This did not go unchallenged, but Ron was determined denturists should stand tall as an educated member of the oral healthcare team and pushed this step toward educational and professional standards and recognition. Ron was obviously pleased as he said, “I believed in this goal and it proved to be my best work.” This recognition has been far-reaching and beneficial for the profession in many areas. Even though it required legal action against the Oregon Dental Service Insurance Division for refusing payment to denturists for patient oral examinations, Ron’s determination prevailed and this victory established credibility with most insurance carriers. The challenge continued and the success to broaden the denturists’ scope of practice to include partial dentures ultimately went back to the people who again voted their approval. Ron said one of his proudest moments was helping to deliver the thousands of supportive signatures to the capital. Oregon’s licensed denturists now have a broad scope of practice that includes all oral removable appliances except orthodontia. Knowing the value of education Ron helped establish the International Congress of Denturists Study Group which met monthly for the last 27 years. Not only did this group enjoy educational lectures, they evaluated and tested industry products, helped trouble shoot difficult cases and took the opportunity to fabricate dentures for the less fortunate or low income patients. He has served on the Board of Directors and as a committee member for the Oregon State Denturist Association, The Oregon Health Licensing Office, is a member of the National Denturist Association, USA and the International Federation of Denturists. He has been an invited speaker for these organizations. Ron says he is now living the dream serving patients at his private practice and acknowledges much of the success he is enjoying is credited to his excellent staff that “makes him look good!” He expresses appreciation for his constituents who have supported his “loud voice of opinion promoting education” and is thankful for the opportunities education has afforded him. When not serving patients Ron enjoys traveling the country on his Victory Crossbow. Eric Hansen’s history and involvement in the denturist profession must begin with his father, Ron Hansen. The family joke was that Ron Hansen’s dental laboratory was his “other wife” because he lived there more than he lived at home. Eric recalls the many evenings his mom would bring his father’s dinner to the laboratory where he would continue to work well into the night. Eric was not left out; he worked in the laboratory after school and summers being responsible for cleaning the laboratory, maintaining and cleaning the equipment and other never-ending tasks. Eric did not like the hard work, so when he graduated high school and needed to get serious about his future, he didn’t want to consider his dad’s career. However, after attempts at a few jobs he realized perhaps the dental laboratory work was not too bad so when his father mentioned there was a position opened he asked for the job and his father said yes. Eric then realized that while he was working most of his life helping his father he was also learning a skill. Also, he realized that he actually loved the work. They generated a good business and had several accounts fabricating appliances for local dentists. Ron was acquainted with several denturists in Canada, and dreamed of the profession but with the strong dental lobby in Washington considered that a dream for another day. However, one of their dentist clients and personal friend enjoyed working with them and was impressed with their talent and asked them to join him and open a denture clinic. This bit of independence was great and they were disappointed when circumstances required their friend leave Washington. They tried to continue their work but were harassed repeatedly by the dental board with cease and desist orders and threats of prosecution. Ron had been working with the National Denturist Association, USA and it was at one of the national meetings they learned about the Indian Tribal Denturist Association and that some people were working independently on Native American Sovereign lands in Oklahoma. This was appealing to them and with acceptance from the Nooksack tribe in Washington opened a clinic. They enjoyed their clinic but the dental board continued their harassment. Even though the dental board had no authority on the sovereign lands this harassment only spurred their interest in becoming totally independent. By this time all the talk was “total independence.” Following the lead of Oregon they attended Oregon Denturist College, were graduated, challenged the Oregon State Board Examination and received a license in Oregon. After approaching the state legislature with these credentials, using as part of their argument that Washington State’s own Health Department’s study recommended recognizing denturists and still being denied, the group of about 12 decided to have a state initiative. This was an enormous challenge and required hours and hours of work and a major financial commitment. They worked tirelessly, gathered more signatures than required, bought newspaper, radio and television ads. They challenged the dentists to public debates and were interviewed on local television stations. Eric said they were “down to the wire” and out of money even after this dedicated group had mortgaged their homes, sold automobiles and boats. They needed $3000 more; everyone had reached as far as they could, but not to give up Eric secured a loan on his truck. Then there was the waiting. They all gathered at a local restaurant to watch the returns; Eric said, “This was the most exciting time of my life.” Bill #607 passed with almost 58% citizen approval; one of the highest initiative wins ever in Washington. Eric’s work did not stop there; quite the contrary. Appointed by the governor he has been a member of the Washington State Health Department Denturist Board since the beginning serving as chair much of the time. He holds denturist license number two. He is an active member of the Washington Denturist Association and is a board member of the National Denturist Association, USA and member of the International Federation of Denturists. We were saddened with the passing of Eric’s father, but his legacy lives on; Eric’s daughter, Melissa and son Cody are denturists and work with him at his clinics giving him more time to pursue his hobbies fishing and hunting. 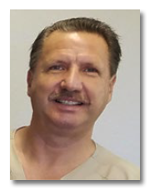 Eric’s advice to anyone interested in this profession is to not be intimidated, get educated and be proud of your profession; be strong and stand up and take your rightful position as a denture specialist healthcare provider. Lennie as he is affectionately called was born in British Guyana, a sovereign state on the northern mainland of South America. Guyana has the distinction of being the only South American nation in which English is the official language. He wasn’t sure he wanted to work in the dental industry. His brother was a dental laboratory technician and when in high school his Mother made him work with his brother in the laboratory; he didn’t like it. However, when his brother immigrated to the U.S., Lennie took over the laboratory business and realized being his own boss, he loved it. He was happy and had a successful business for a few years, but his family immigrated to the U.S. and were insisting he join them. So after six years being his “own boss” Lennie followed his family and immigrated to the U.S. and moved to the state of Florida. He and his brother worked together again as laboratory technicians, but Lennie really didn’t like it this time because while in Guyana, even though denturitry was not a recognized profession, the need was so great that technicians served people and the “powers that be” turned a blind eye. However, that was not so in the U.S. He did not like the limitations and inability to do his best when mandated to follow a prescription more often with an inferior impression sent from a dentist. Needless to say Lennie was quite disenchanted with the U.S. and Florida, yet he trudged along in his dental laboratory until one of his suppliers asked him if he was going to the denturist meeting. He was not familiar with the profession but was excited about what he had learned and anxious to attend the meeting. When he arrived at the hotel he saw hundreds of people and thought everyone was a denturist; he knew no one and, asked directions from a stranger, coincidentally Paul Levasseur, a denturist from Maine who was attending the meeting. Lennie was welcomed warmly by the denturist group. He said, “The registration fee of $25 to attend this meeting was the best $25 1’ve ever spent.” However, he learned it was not as easy as he thought to become independent, there was school involved, but he didn’t care. He couldn’t wait until Monday after the conference to call and enroll in George Brown College. He said he didn’t even ask what it cost; he was going to college to be a denturist and was more determined and worked even harder for recognition in Florida; he approached groups like the AARP and other associations but they all seemed to be owned or influenced by the dental lobby. He went to his representative who disappointingly told him quite frankly, “You have no money, I can’t help you?” He went to another politician who listened to his request, but told him quite frankly, “My brother is a dentist and if this issue should ever come up for a vote in the legislature, I will definitely vote against it.” By this time he had heard denturists could practice independently in Washington State and he had made friends with Michael Coffey, a Washington denturist, who had invited him to visit. One visit was all it took. He started looking for an office immediately, found a beautiful office for rent, and bought it. The rest is history as far as his business. Lennie also wants to give back to the profession that has given him so much. He is mentoring a student from the American Denturist College. He says she is an excellent practitioner and he is pushing her to become the best she can be. As a mentor he wants students to serve with excellence and pride. He is active serving his community participating as a Community Health Partner working with the University of Washington Denture Program at the UW Community Dental Clinic providing the needs of disadvantaged working adults in southwest Washington. He has received recognition as a volunteer for the Clark County Skills Center training interns and Clark County Substance Abuse Center improving the lives of people in recovery. His wife, Analie serves as his office manager at their busy denturist practice and they agree the seven members of their staff are like family. He is proud of his children who are off to their various careers except the youngest still at home in middle school. John was born in Belfast, ME. The family moved to Bangor, ME, when he was a child and this is where he calls home, went to school and graduated. As a young man, only 17 years old, he wanted to join the military. His high school offered the opportunity for students in their senior year to join the Army Reserve. He had to have his mother’s permission, and he said with a smile in his voice, “He had to do a lot of begging but she relented.” So once every month during his senior year he marched off to the Army camp for training and then six months active duty after graduation. He served 10 years in the Army Reserve before going into the Air National Guard. While in the Guard he worked in the dental department as a dental assistant. and was trained in dental radiology. He enjoyed dental work and thought it would make a good career so after he was discharged from the service he attended and was graduated from Kerpel Dental Technician School in New York state. Money was scarce and he was fortunate to secure a job as an usher at the famous Radio City Music Hall. This was a fun way to earn extra cash and enjoy the “big time” in New York. After graduation from Kerpel he worked in a very large dental laboratory knowing he would get a lot of experience working with as many as 60 technicians. After a time working in this laboratory he was confident enough to return home to Bangor and work in a dental laboratory for a private practice dentist. It was here he met a friend who worked with him as a technician When this friend saw the Canadians getting regulation to work independently he began promoting this idea among the technicians. The friend eventually lost interest in the project, but he had set a fire under John and the few other technicians who at that time had gotten on board with the idea of independence. Knowing they could serve people more efficiently with a more personalized, usable and much less expensive product without the “middle man,” the technicians were determined to win their independence. It was happening in Canada and they knew it could happen in Maine. So they organized and started visiting their legislators seeking recognition as independent practitioners. This did not set well with the Maine Dental Association and who hired a lobbyist. “This guy buried us,” to quote John, “but we learned a good lesson how to lobby, so all was not lost.” The Maine Dental Association, in their efforts to fight the “uprising” began charging the Maine dentists $100 a month to fight this “threat.” That did not set well with the dentists who had been working successfully with these technician. They went back to the legislators who finally agreed they could use the word “denturist” but to practice they had to go to school and the state was mandated to set up an educational program. Unfortunately, 18 years passed before, Ralph Dhuy, a Maine “denturist” took the initiative to start the procedure to get an educational program established. The state accepted the denturist program offered by George Brown College; this prestigious school established a college program that met and exceeded the educational criteria outlined by the state of Maine and offered an avenue for education for individuals seeking a career as a “denturist” in the United States. The state of Maine legislature finally approved a law that allowed denturists to work as independent practitioners. It was a rough road at first. Even after completion of their education and receiving a license these pioneers were required to obtain a Health Certificate before they could serve a patient. However, it was not long before this extra trip to a dentist or doctor was deemed unnecessary and an extra expense to the patient so the denturists were able to eliminate that requirement. Denturists in Maine have been successful in proving themselves proficient; their scope of practice now includes all removable dental prosthetics, they have their own sub-committee on the state health board, and are on the path to having greater board recognition. John has been a pivotal individual throughout the years and all of the efforts in Maine. He is the senior member of the denturist subcommittee and continues to be active in promoting the profession. John is one of the last of the Denturist pioneers in Maine. He has a wealth of knowledge of the legislative process having lobbied and contributed to initiation of several bills which became law, including the 1996 law which opened the door for our education and practice. 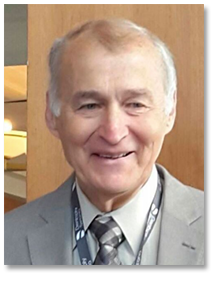 He is tenacious and patient; he never gave up and after enormous effort he along with fellow denturists finally received his “coveted” license to practice independently; at the age of 62 John was graduated from George Brown College. John is a quiet sort of guy; very unassuming, but has textbook knowledge when it comes to his profession and has unrelenting determination that denturists should be available to serve in every state because denturists are the denture experts; he is proud of his profession He continues to serve patients in his private practice in Etna, Maine. When asked why he worked so hard seeking denturist legislation his inspiring response, “We had a dream; that kept us going.” The denturist profession owes this pioneer our respect and appreciation. To quote a fellow Maine denturist, “John is one of the best friends anyone could ever have. Generous to a fault, John is always there to help when needed. Truly a man to admire.” We are proud and honored to spotlight John Merrill. When the name Tad Burzynski is mentioned in denturist’s circles worldwide it would be difficult to find anyone who did not know who you were talking about. Tad has literally been involved all his life. His first introduction was as a youngster working in his father’s office….. doing scrub work at first but eventually through OJT doing relines and repairs. However, this was an aside job and not his profession of choice so after graduating from Umpqua Community College he worked in the lumber industry. Even though this was enjoyable work he realized a future in the lumber industry was a bit unpredictable. By this time he was married and children were part of his plans so he sought a career with more opportunity and security. Having worked with his father and seeing his success and the potential for a career in an industry in which he was familiar and enjoyed he sought advice from his father and other denturists. Ultimately, choosing a career as a denturist was an easy one; he has not looked back. His preparation to become a denturist was unique in that he believed having experience as a dental hygienist would be beneficial so he received his degree and license as a dental hygienist as well as a denturist. He split his time working as a hygienist for two dentists and operating a mobile denturist practice serving elderly residents in assisted living and nursing home communities. His goal was to eventually establish a private denturist practice which he did in 1993 when he and his wife DeeDee moved to Bend, Oregon, and opened The Denture In. Their well-respected practice has flourished; they enjoy reciprocal referrals to and from several oral surgeons and dentists in Bend and they will soon celebrate 25 years of service. 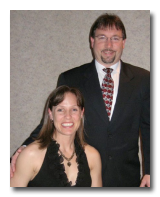 Tad has been totally immersed in his career and the denturist professional associations and is the first to proudly admit he is fortunate that his wife, DeeDee is just as committed. Together they have worked as a team as leaders in the Oregon State Denturist Association (OSDA), The National Denturist Association, USA (NDA, USA) and the International Federation of Denturists. Tad, as his father, has served as president of the OSDA and NDA, USA. He has served on the boards of these organizations accepting various positions and has been active in organizing and participating in state, national and international conferences and activities. He has served as the U.S. delegate to The International Federation of Denturists. 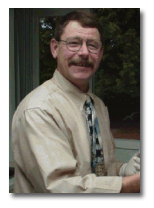 Tad has always encouraged professionalism and education and even though educated and licensed, when the opportunity arose to receive a denturist diploma from George Brown College, he and fellow Oregonian denturist, Shawn Murray, attended and were graduated. He is proud of this earned diploma. He has been an outspoken advocate promoting education and professionalism encouraging denturists to proudly take their place as healthcare providers in their communities. His vision is to see that every U.S. citizen has the choice to visit a denturist in their own neighborhood for their prosthetic dental needs. Tad and DeeDee are very proud of their two grown sons, Ryan and Andrew (Andrew will soon be graduated from denturist college) and most proud of Kyle. Tad says, “Even though he was with us for only three years, Kyle lived a happy life. He gave me an outlook on life…..how short it is and how you never know what is going to happen…….Kyle, stricken with Fanconi Anemia, had everything in the world going against him, but it never stopped him from accomplishing things impossible for him. His life was influential in terms of what I do and how I try to do it….with energy, honesty and integrity.” Kyle was an inspiration to everyone who was fortunate to know him for the three short years of his life and see his bright smile and feel his happy demeanor. He will always be remembered as part of our denturist family! The National Denturist Association, USA is fortunate that Tad has agreed to continue his leadership role as a member of the board of directors. His vision and leadership are invaluable. If asked to describe a denturist, one would only have to say, Tad Burzynski! We are proud to spotlight Tad! “Denturist all over the world are members of a unique family of rebels.” This quote from a South African denturist is true and proven if one attends an international meeting of denturists and feels this kinship and hears stories about the denturists heroes. This quote generated the inspiration for the honoring feature in our magazine. William Lees, from Alberta, Canada, was a small man suffering from a handicap as a result of an accident which ended his ability to work his heavy labor job. He found his niche as a dental mechanic making dentures for dentists for their patients, however, the depression that hit in 1929 caused his work to drop significantly because people were unemployed, times were desperate and many were starving. Dentures, at the price charged by dentists, was a luxury few could afford. Realizing he could provide a superior denture for less without the “middle man” he started seeing patients. Of course, this displeased the dentists, they would threaten and fine him, but he would pay the fine and keep working. Eventually, the continued harassment and fines was so great he had to sell his home and everything he owned to prevent going to jail. Yet he continued. He partnered with Harry Courtney, also a dental mechanic and together they served with dedication and commitment and each harassment and incident brought on by the dentists created more and more publicity. The public rallied behind them and started a petition which yielded thousands of signatures that was sent to their legislators. Listening to their constituents the legislators amended the law in favor of the dental mechanics…this started the denturist revolution in Canada. Each province has their story and heroes who fought for and received denturist recognition and no one is better known or appreciated more than Ben Sweet. He played an instrumental role in founding the Denturist Society of Ontario and was renowned as a man of principal and champion for the cause. Like many pioneers, as he led Ontario’s fight he was jailed and had his office raided and records and denture work confiscated. However, his perseverance and vision for and contribution to the denturist profession grew to encompass all of Canada and the world. These forefathers are an example to us in our quest for independence….we must maintain the perseverance of William Lees and the vision of Ben Sweet to look beyond where we are to visualize a global profession dedicated to serve. Everyone deserves the right to be served by a denturist because denturist change lives – one smile at a time! The Board of Directors of the National Denturist Association, USA want to welcome aboard Anita Ogle. The association members elected Ms. Ogle to the Board of Directors during their annual general meeting held in conjunction with the recent World Symposium in Alexandria, VA. Anita is a George Brown College graduate and holds a denturist license from the state of Maine. She has been an active member of the association and leadership team and an advocate for national regulation. We look forward to the contribution her dedication and energy will bring to the board and appreciate her willingness to serve. We want to congratulate the NDA Award recipients for 2015. Click here to view our 2015 Awards given out at the World Symposium including Denturist of the Year, The Rayborn Award and the Distinguished Presidents Awards. It may seem that Andrew Burzynski was destined to enter the dental field since he literally “grew up” in a denturist clinic. His grandfather, grandmother and father are denturists and have been actively involved in the profession not only owning and serving patients in their own clinics but also with their professional associations. These gentlemen have been leaders in their state as well as the National Association, USA and International Federation of Denturists. Andrew expressed how he remembers the dedication of his parents who worked diligently promoting the ballot initiative in Oregon attempting to advance the denturist profession there. He remembers the thrill and family celebration when the initiative passed. So Andrew, you might say was “born into the profession.” However, even though he has enormous love for his parents, he believes his choice to enter the denturist field is his own, chosen because of his respect for the profession and for the service it provides. This choice obviously required college but before starting college he was delighted when Joe Vize, a denturist and family friend, invited him to work in his clinic getting some hands-on experience in the laboratory. This experience has proven valuable. After much consideration he is very pleased he chose Northern Alberta Technical Institute. He states this college more than exceeded his expectations. He appreciates their policy of student input, the education is excellent. The classroom experience is perfect for him and the opportunity for patient care in an academic setting is awarding him the needed education in order to start his career as a competent denturist. He states his goal is to practice in Oregon in his own clinic and become involved in his professional associations and ultimately be part of the leadership and be part of promoting the profession that he loves and respects. Some people never discover their niche — their purpose — in life. For Joseph C. Vize, you might say being a denturist was his destiny. “There’s no question that this is what I was born to do,” he says of his chosen profession. Dentistry runs in his blood. He is the son of a denturist and the grandson and nephew of dentists. But the 35-year-old denturist didn’t always feel so certain of his place at the dental chair. As a small child he saw the struggles his parents, Randall (Randy) and Janet Vize, endured as they lobbied tirelessly, but ultimately unsuccessfully, for denturists independence in Nevada. He saw his father arrested and the family endure harassment and threats to the degree that the police had to intervene on their behalf. He remembers he and his younger brother being sent to his grandparents for months at a time because of the dangerous physical threats the family received from the Nevada dentists. These dentists also pressured people to stop patronizing Randy’s business thus money was scarce. He tried other jobs but his heart was not in it; he was a denturist and he wanted to serve. This was a major dilemma because of the financial and emotional hardship on his family. When he learned there was a group of denturists in Washington State who were seeking independence and even though he didn’t want to leave Nevada he decided a move would be in the best interest of his family and he was excited to join the effort in Washington. So the Vize family moved to Washington, joined in the effort for independence and celebrated with the passage of I-607 – the denturists won their independence by the biggest margin of any issue placed on the ballot! Randy received his denturist license and the family enjoyed five great years before tragedy struck; Joe’s father was diagnosed with multiple myeloma and passed away; he was only 59. Honoring his father’s wishes to maintain his denturist practice, Joe who was headed to Washington State University to complete his studies in engineering, quickly changed direction. “I decided that I had to at least try to keep my promise. I figured that I would fail, but I would at least be able to say that I tried, and did my best.” Joe enrolled in the denturist program at George Brown College and the further he delved into his studies the more he began to appreciate his “father’s profession.” He also realized he had a talent for it. The years of doing small odd jobs in his father’s laboratory had provided a strong platform for his career. 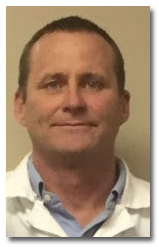 After graduation and completing an internship with Oregon Denturist, Ken Holden, and sitting for the Oregon State Boards, Joe received his Oregon License and later a reciprocal denturist license in Washington State and has not looked back; he now has a clinic in Washington and Oregon. Because Joseph loves denturitry, he takes an interest in constantly improving his own practices and abilities and is always ready to receive new information. “Everybody does something a little bit differently, and you can learn something from everyone,” he says. Following his father’s footsteps Joe is totally immersed in his profession. 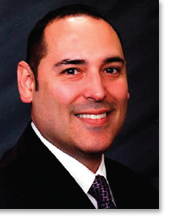 He is a member of the National Denturist Association, USA and serves on the Board of Directors as Vice-President. He is the past president and board member of the Washington Denturist Association. 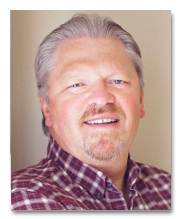 He also serves on the Board of Directors of the Oregon State Denturist Association. He believes that active involvement in these professional organizations is absolutely vital to the protection and ongoing success of the denturist profession. Along with the family practice, Joe inherited some key family heirlooms. The dental chair in his main operatory belonged to his grandfather. “Part of it is nostalgia, part of it is practicality,” he says. “The old-style barber-type chairs are better for taking impressions, because they hold the patient upright.“ He says that patients get a kick knowing that the chair they are sitting in dates to early last century. Joe still works closely with his family, his wife is the office manager, his mother does the bookkeeping and his brother is the dental lab technician. Karleen Meyer is practically adopted; she has worked with the family as a dental lab technician for over 20 years. Joe will be forever grateful to Ken Holden for “taking him under his wing” and mentoring his internship and knowing the valuable lessons he learned and realizing the importance of this college requirement he was delighted to be asked to mentor a student soon to graduate from The American Denturist College. It is, after all, his destiny. 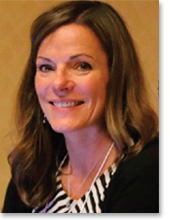 Shawn Murray’s dedication to the denturist profession is evident in her extraordinary work for the National Denturist Association, USA (NDA, USA), for the state of Oregon and in her efforts to promote denturist education. 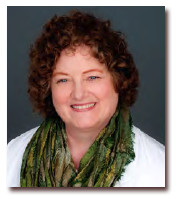 She has been an active member of both the NDA, USA and Oregon State Denturist Association leadership for over 25 years. 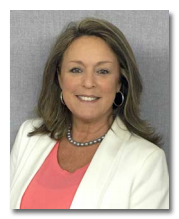 She has also been an influential member of the Oregon Board of Denture Technology and the Oregon Health Licensing Board; she is presently serving a fourth term on this board and has served as chair each term. During her leadership on this board the Oregon legislature has continued to increase the scope of practice for denturists to include all removable dental prosthetics with the exception of orthodontia. She was also instrumental in generating a national written and clinical examination for U.S. denturists. The Oregon Health Licensing Board has accepted this national examination as the official board examination for denturists’ licensure for the state of Oregon. Washington State has also accepted this examination as their state board examination for denturists. Also generated under her leadership the NDA, USA has developed a program by which denturist colleges can receive certification after meeting required standards of excellence. This not only establishes harmonization within the denturist educational community it also assures that graduating students receive quality education. As a result of her efforts as president of the NDA, USA the association’s membership has significantly increased. She continues to serve on the Board of Directors as Past President. Shawn’s career in the dental profession began as a dental assistant, however she became disenchanted when she realized she did not like the sight of blood so the dentist she was working with suggested she try dental laboratory work. So off to dental laboratory school she went; she enjoyed this part of dentistry and found she was very good at it and she enjoyed the challenges. After dental laboratory school she worked in a couple of commercial labs before serving as an in house technician for a prosthodontist. While with the prosthodontist she enjoyed working with patients. She became involved in the Oregon Dental Laboratory Association and eventually owned her own dental lab business. 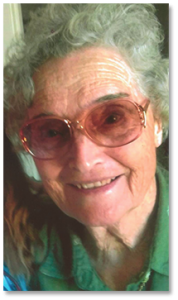 It was at a continuing education class she met, Lillian Peterson, who introduced her to the denturist profession and the Washington Denturist Association. She became totally involved participating in this association serving on committees, the Board of Directors and ultimately President of that board. She worked diligently promoting education for Washington denturists and was involved in their initiative that eventually led to their professional regulation and licensure. She also met Washington pioneer denturists Kurt Roehl and Chet Charron who introduced her to the National Denturist Association, USA. She attended Oregon Denturist College, received her education and license in Oregon. She assisted in gaining accreditation for this college. After graduation, she contacted Lillian Peterson whose denturist practice in Florence, Oregon, was for sale and jumped at the change of owning her own practice, especially since she had previously visited Florence and loved the quaint coastal town. She eventually expanded her practice to include a second clinic in Eugene, Oregon. Always an advocate for denturist education, Shawn became concerned when the Oregon Denturist College closed. She was delighted when George Brown College out of Toronto, Canada, offered excellent education for U.S. students and even though licensed she enrolled and was graduated from this prestigious school’s denturist program. However, Shawn wanted a U.S. college for denturists and with this determination she retained an individual to write a curriculum and sought to develop a program for denturists. Realizing the enormous task involved in establishing a school she sought out individuals who might be interested in following through with her vision for a denturist college on the West coast. She approached Todd Young, an Oregon denturist, who was excited about the offer; the American Denturist College was born. With Shawn’s total immersion in her profession there seems little time for anything else, but not true. Shawn tends a five acre tree farm and she and Nancy, her partner of 20 years, are proud parents of four cats and nine chickens. They are also avid travelers and have visited most of the U.S. and several countries. The most recent trip was crossing the Panama Canal. She has recently sold her two clinics and is presently working in a private practice. Her plans are to eventually retire completely so they can continue to travel. Shawn’s contribution to the denturist profession is exemplary and untiring. Her leadership has brought incomparable advancements for every denturist in the U.S. We are proud and honored to spotlight Shawn as an example of dedication and vision for the advancement of the profession she nobly represents. Paul R Levasseur was born on June 22, 1926, third eldest of seven children in Lowell, Massachusetts. He grew up during the Great Depression; his first job was selling newspapers on a street corner at age 6 to help support his family. This would continue until he had to quit school after the seventh grade in order to work full time. At the age of 17, he volunteered for the United States Army and was part of the liberation of Europe. He was in the second invasion wave, Omaha Beach, D-Day, three weeks before his eighteenth birthday. He fought in the Battle of the Bulge, fell ill with the flu and was cared for and hidden by a Dutch family. That triggered his lifelong love of Holland and its people. After WW II, in 1947 he met and married Marion J Meyer in Coburg, Germany during the US Army occupation. Neither spoke the other’s language, instead communicating through the language of love. Paul and Marion had a son; they named him Paul. During the ensuing years, he provided for his family in any way he could. He cut up cars for scrap, swept floors at a high school, worked as a machinist and as a milk truck driver. After a severe back injury he spent 3 months in a VA hospital in Togus, Maine. While in the hospital, he broke his denture. It was repaired within hours in the in-house dental laboratory. He never forgot. After healing well enough to be able to go back to limited work, he was tested by the Vocational Rehabilitation division of the Department of Labor of the State of Maine. Given many options, he remembered his broken denture and was intrigued by the prospect of becoming a dental technician, so when the position as an apprentice in a dental laboratory was offered Paul was pleased. Skilled with his hands, he soon became the head denture set up technician. He was also fast, averaging 32 set-ups a day in the era of porcelain teeth. Branching out on his own, he bristled at the lack of respect accorded the technicians and dentistry’s high fees charged to their patients for dentures and the laboratory technician’s low fees – what the dentists actually paid the technician for making the denture. Soon he was circumventing repressive dental laws and making dentures for people without the middleman – the dentist. Eventually he was prosecuted for illegal dentistry. He was fortunate to draw a compassionate judge. Since that judge’s brother was one of Paul’s satisfied clients, the judge looked for any excuse to dismiss the charges. He found that excuse, much to the aggravation of the many dentists in court that day. Around the mid seventies, the Denturist movement came to Maine. John Merrill, John Hussey, Ed Bates, Paul and others managed to get the profession regulated. Sort of; the profession was recognized but cleverly controlled. Unfortunately, the Maine dental board was tasked with setting up the curriculum for denturist education. They set it up as dental school. So much for Denturism for the next 18 years. However, right would eventually win and George Brown College entered the scene. Denturists won their independence. 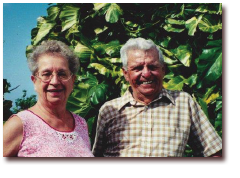 Paul and Marion established Standish Denture Clinic (SDC). Drawing patients from as far as 150 miles, SDC became the premier source of high quality dentures, offering affordable denture care in southern and central Maine, northern New Hampshire and the Lake Champlain areas of Vermont and New York. In later years, Paul and Marion have championed their favorite charities including youth boxing and Special Olympics in their second home in St. Kitts, West Indies and St. Jude’s Children’s Hospital. From street urchin to successful businessman, Paul proved that the American dream still exists. He passed away from cancer on Thanksgiving Day 2008. His vision lives on as young people proudly enter the profession with the same determination to serve. We are proud to honor a genuine pioneer. A copy of the CDT 2015 codes is available at ada.org or can be ordered from most dental supply catalogues.